Best Easy Magic Card Trick, Cut to the Aces - Introduction. In this easy card magic trick, the spectator separates a deck of cards into four piles, mixes them a bit, and at the end, discovers that there’s an ace on top of each pile. All you need is a deck of cards, an easy setup, and the secret, and you’re ready to go. This effect requires no sleight of hand skills. This routine requires no gimmicks. Although the spectator thinks that he is cutting the cards in random ways, he’s cutting and dealing cards in a specific manner that leaves an ace on top of each of the four piles. All the spectator has to do is follow your instructions. Best Easy Magic Card Trick, Cut to the Aces - Preparation. Note that this view shows the position of the four aces in the deck with the deck face-up. When you're performing this trick, the deck will be held face down as you or your spectator cut the cards. Something that can enhance the effect at this point is a false cut of the deck. It's optional but will help sell the random order of the deck. Best Easy Magic Card Trick, Cut to the Aces - The Cut. Ask your friend to cut the deck, so there are four semi-equal piles of cards. You need to watch where the top part of the deck with the aces lands. For a cleaner effect, you can ask the spectator to separate the deck by dropping cards off the bottom of the deck to create four piles. This way, the pile with the aces will end up at your extreme right or left, which makes the next steps more logical. For demonstration purposes, we'll assume that the four aces ended up on the pile to the far right. All of the following steps will assume that the aces are in this location. If your aces end up in a different position, please adjust the instructions as given in the next step. Best Easy Magic Card Trick, Cut to the Aces - The Mix. Then ask the spectator to deal one card from the top of the pile that he's holding onto each of the three other piles. Before proceeding to the final step and reveal, let's review the position of the cards in each pile. Three piles (the "non-ace" piles) have a mix of random cards. We are not interested in these piles. 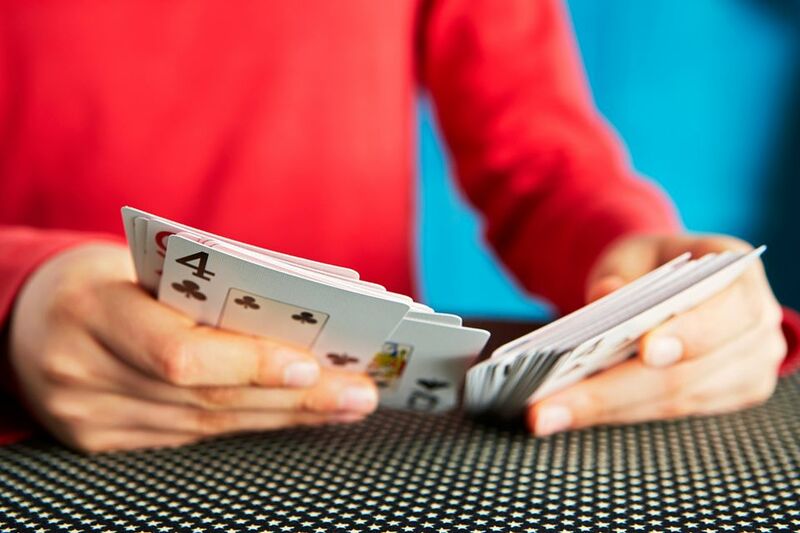 When the spectator does the same mixing process in the next step, the three random cards will be sent to the bottom of the pile, and then one of three aces will be dealt to the top of each of the other piles. One ace will remain on top of the "ace" pile. Best Easy Magic Card Trick, Cut to the Aces - The Reveal. Now ask the spectator to perform the same thing with the pile that has the aces. He’ll place the top three (indifferent) cards onto the bottom of the pile and then deal a card onto each of the other piles. Ask the spectator to turn over the top cards of each pile. When these cards are turned over, they’ll be aces.